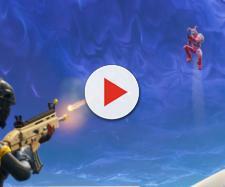 The shooter- survival "Fortnite" could be the biggest video game on the planet today. However, there are some signs that the survival game’s popularity might slowdown this year. Epic Games, the company behind the massively popular Fornite, has made some bold decision recently, one that could affect the distribution of the survival game in the Android market. According to BBC, Epic Games has committed something bold and risky. The developer has confirmed plans that it will not distribute its massively popular shooter survival game "Fornite on Android" on the app distribution platform, Google Play Store. Instead, the developer will distribute the Android mobile version on the official "Fornite" website, providing Android users a place where they can download the installer program of the game. The move marks a bold departure from the traditional and widespread distribution practice of using big app marketplace Apple and Google for game distribution. Google Play Store is currently one of the largest Android games distributors in the market and ignoring this big distribution platform could mean trouble for every app maker. News about Epic’s ditching the Google marketplace has already created tons of buzz in the gaming world. What does Epic Games exactly want here? Why does the biggest video game on the planet want to skip one of the biggest game distributors in the market? People are quite curious about the company’s latest moves. Many people had not expected such bold actions. Others are speculating about the developer’s decision to skip the Google Play Store. Is Epic Games spinning out of control? Fortunately, the Epic Games CEO Tim Sweeney has some interesting statements about his company’s decision to skip Google marketplace. In a recent interview with the media, CEO Tim Sweeney talked and revealed the whole reason about their latest decision to ditch Google Play Store for "Fortnite" website. According to Sweeney, there are two big reasons behind the company's decision to ditch the app distribution platform Google Play Store. The first one is that Epic Games wants to maintain its strong and direct relationship with consumers. The developer currently distributes its popular shooter-survival game on PC through its own Epic Games Launcher, instead of using the popular game distribution platform Steam. The second and probably the more immediate reason behind the move is financial. As mentioned earlier by BBC, the CEO also cites the economic efficiency of bypassing the app distribution platform like Google Play Store. BBC noted they felt that 30 percent was "disproportionate." The company does not want to pay a hefty cut for the distribution of its game in the Google App marketplace. Normally, the tech giant takes around 30 percent from games hosted on its app distribution platform, Google Play Store. Sweeny explained that the 30 percent store cut is too high for the small company like Epic Games. He also added that the remaining 70 percent might not enough to cover the total cost of developing, operating and maintaining the entire game. Simply put, the company wants to maximize the amount of profit it could earn by not releasing on Google App marketplace. Developed and published by Epic Games, Fortnite is a 2017 online game that features two game modes, the cooperative shooter-survival game, and the intense free-to-play battle royale game. The game was first introduced to the public in 2017 as part of the early access program. Fortnite is currently available on PS4, PC, Mac, Xbox One, Nintendo Switch and iOS-powered devices. The planned Android version is expected to arrive sometime this year.